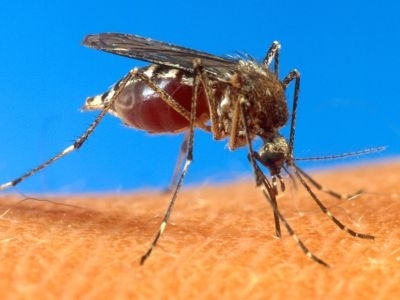 The whining buzz and itchy bite of mosquitoes are part of summer in our region, and intense spring floods have many people suspecting that mosquitoes will be worse than ever this season. But state entomologist Jon Turmel says it’s possible, but a lot of factors determine how many mosquitoes hatch. Monday on Vermont Edition, we learn about what makes a rich breeding ground for mosquitoes, why the potential for bad mosquitoes swarms may be mitigated this summer, and how the states three mosquito control districts work. Our guest is Alan Graham, the Agriculture Agency’s expert on mosquitoes and black flies. We also hear about health concerns caused by mosquitoes and repellents from Erica Berl with the Vermont Health Department. Also in the program, one man’s view of homelessness. Morgan Brown is somewhat of a Montpelier gadfly when it comes to housing and mental health issues. He blogs, writes and disseminates information about policy and politics that affect the homeless, and he sometimes found himself among their ranks. As the governor’s summit on homelessness approaches, VPR’s Jane Lindholm talks with Brown about he managed his own unstable housing situation, and why he’s motivated to keep these issues on the front burner. And VPR’s Charlotte Albright reports on program in Lyndonville that helps teens fight obesity by learning healthy eating habits. A new report from The Wilderness Society looks a range of different renewable energy sources that we might use in New England and details the impacts and consequences of each. We get a peak at the 130 species of ants that roam around New England, meet Vermont’s new state entomologist, and reach into our listener mailbag.